I was lucky enough to get to design the sets on the short film “Bao” by Domee Shi. 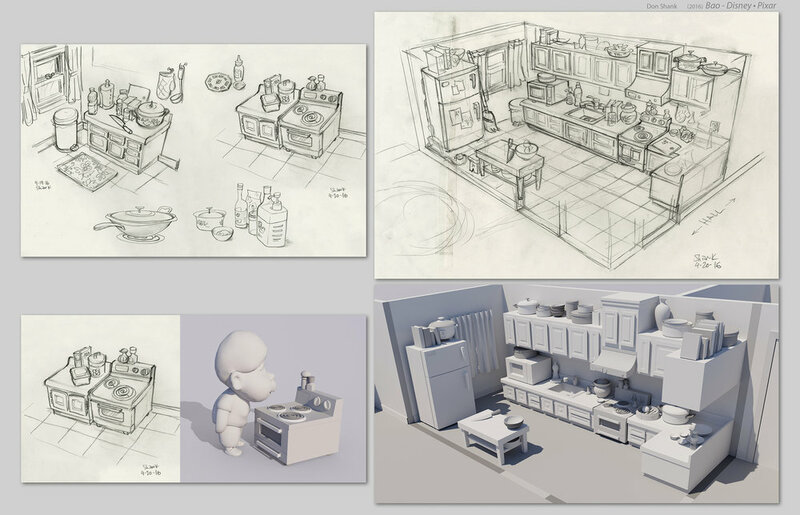 Here’s some design work on the Kitchen set. After the drawings I worked out a simple 3D model to see how the space would relate to the character model and make any proportion adjustments needed.